In just a few hours, we turn our calendars to the month of December, which means that the holidays are officially here and it’s cookie season! Everyone to the kitchen! As you can imagine, I’m partial to this time of year, and look forward to planning the cookies I’m making. The lineup changes from year to year depending on my mood, but there’s always something new. 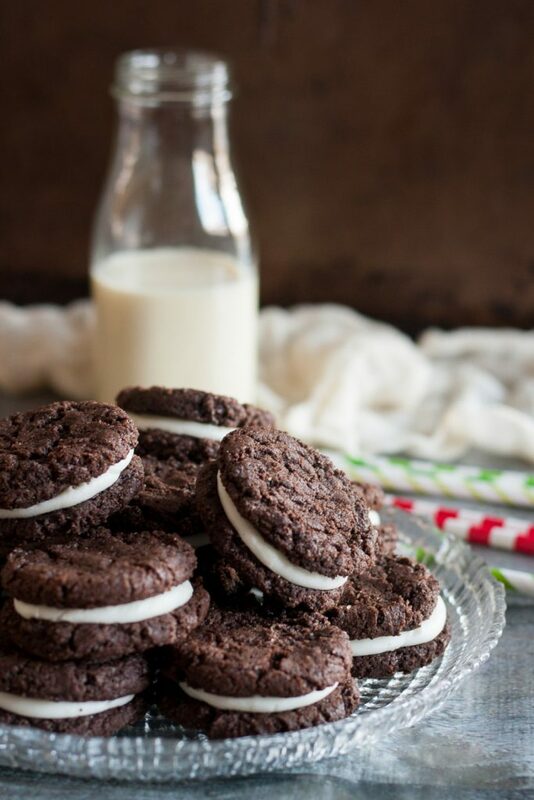 This year, I had my heart set on making chocolate peppermint sandwich cookies since sometime in September. The combination of peppermint and chocolate is so very “holiday” to me, and these cookies are everything I dreamed they could be. 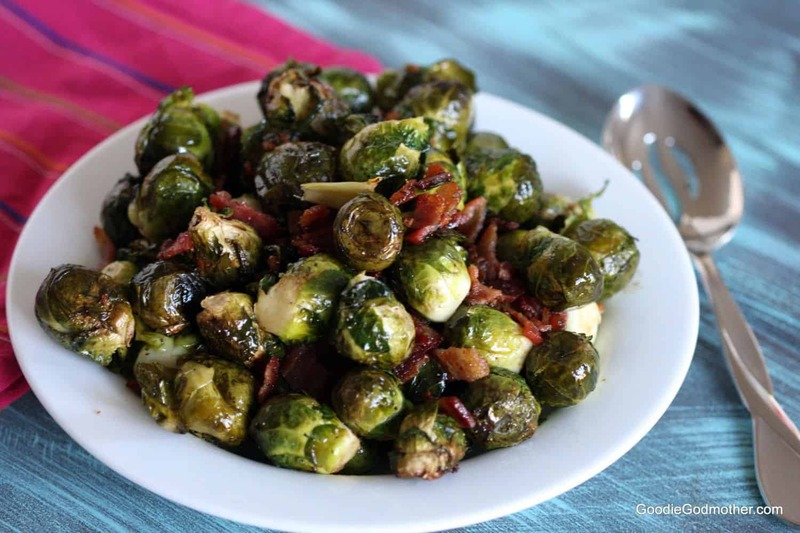 You should have seen how quickly they disappeared at a Friendsgiving potluck! I’m pretty excited to bake up the batches of dough I have in the freezer for one of my upcoming cookie exchange parties. 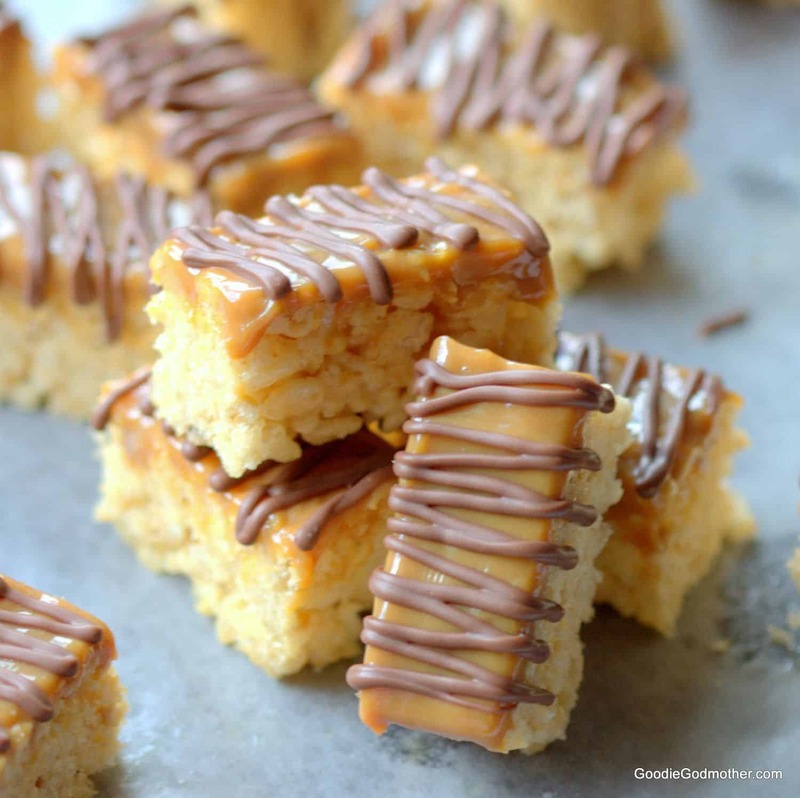 For looking complicated, I love how easy these are to bake! It only takes a few minutes to whip up the peppermint filling, and even the dough is quick to make. I always make a double batch and usually manage to freeze a bit of dough for later. 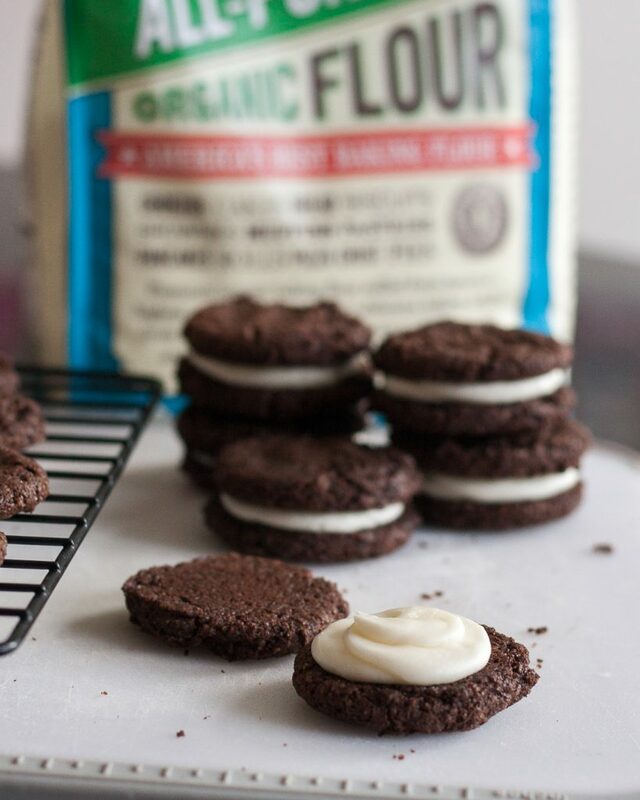 I used Bob’s Organic Unbleached All Purpose White Flour because it’s super versatile and great in a variety of recipes. It’s ground from organic red wheat, and not enriched with any additives. The high protein content, produces high, well-textured loaves of bread equally as well as it produces light, airy baked goods. Good ingredients produce a better final product. I regularly use the Bob’s Red Mill products throughout the year, especially when I can save a little using a coupon (grab one when you click here!). In fact, if you’re looking for a little more holiday baking inspiration using different flours, just hop over to the recipe index. You’ll find things like my eggnog macarons made with almond flour/meal or my perfect gluten free vanilla cupcakes or gluten free coconut macarons that work great with the Bob’s Red Mill 1-to-1 baking flour! 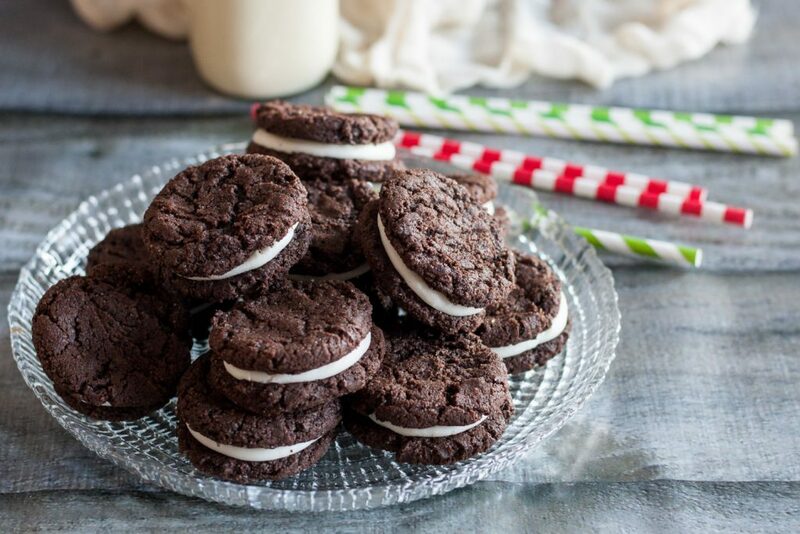 I hope you enjoy these chocolate peppermint sandwich cookies! I can’t wait for my first cookie exchange of the year to bake my next batch. 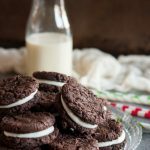 Chocolate Peppermint Sandwich Cookies - a perfect holiday twist on a childhood favorite cookie! Preheat your oven to 375 F (gas mark 5, 177 C) and line 2 baking sheets with parchment paper or a silicone baking mat. 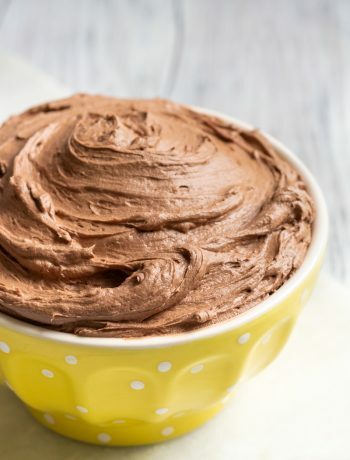 In the bowl of a stand mixer fitted with the paddle attachment or a large mixing bowl (you can use a hand mixer just fine), stir together the flour, sugar, baking soda, baking powder, and salt. Cut the softened butter into tablespoons and using the low speed on your mixer, stir in the butter, egg, and vanilla extract. Mix until well combined, the dough is on the drier side, but should still stick together. Bake the sheets for 10 minutes, rotating once half way through baking time. Allow the cookies to set for 5 minutes on the sheet before transferring to wire racks to cool completely. Make the filling while the cookies are cooling. Cream together the butter and cream cheese until light and fluffy. Stir in the sugar 1 cup at a time, and then add the peppermint extract. 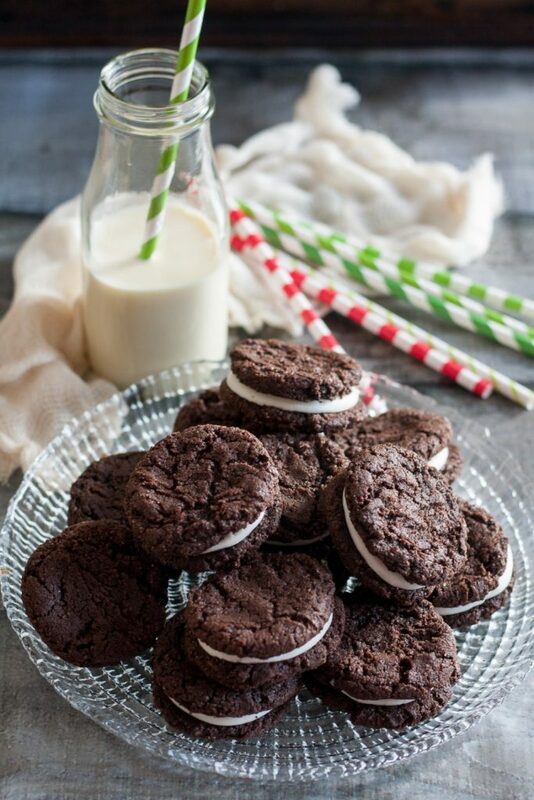 Assemble the cookies by placing your filling into a piping bag or plastic bag, snipping off the tip, and piping about a tablespoon on one cookie, top with a second cookie. 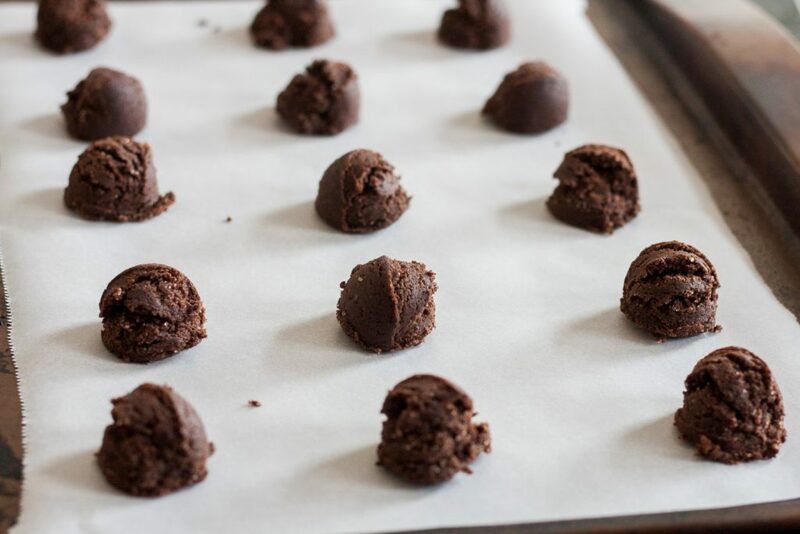 **If you are planning to freeze extra dough for later, place the unbaked cookie portions on the sheet and freeze. Store in a plastic airtight container once frozen solid. Bake from frozen, adding an additional 2 minutes to the baking time. Will these cookies be crisp or chewy? The cookies are a little more on the chewy side, but have some crisp. Think right in between.